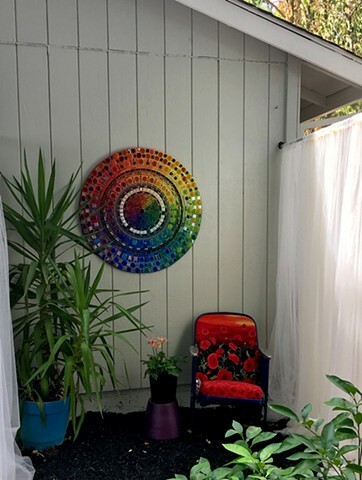 This giant mosaic mandala is made of several forms of glass, mirror, and a rainbow of grout colors. It is on a handcut concrete/stryo substrate that is suitable to withstand the weather. Total weight of piece: under 20 lbs. Available.